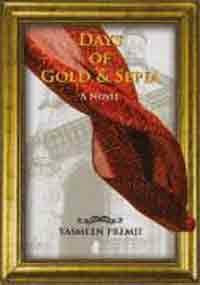 Last year, my sister-in-law gifted me a book titled 'Days of Gold and Sepia' written by Yasmeen Premji. At first, I thought the book was based on a true story by its crispness and a flavor of real set-up and ambience. But, later on I realized that the main protagonist, Lalljee Lakha to be an imaginary character and all other characters were fictitious. I take pride in saying that all the credit goes to the artistic mind of the author herself. The main protagonist, Lalljee Lakha has gone from penniless orphan in his childhood to many struggles only to end up as one of the biggest business tycoon better known as Bombay's 'Cotton King' of the period when he grew old. He seemed to be retelling the story of some of our great business tycoons, such as Dhirubhai Ambani, Ratan Tata, etc. of today. I think those who have been struggling at the beginning of their life-time are sure to shine out at the end. The entire story took place between the middle of the 19th and the 20th century period. Lakha's childhood was mostly spent in a place like Gogha in Kutch (Gujarat), but later the background set-up was at Bombay where he earned fame and money. The story theme and plot has a touch and feel of our life in real sense. The several characters that Lalljee Lakha has bumped into during his life journey were general people of the period. Surprisingly, there was no fantasy but only real events and situations that took place during the rags-to-riches journey of Lalljee. 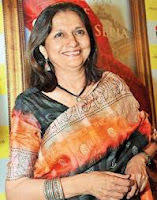 The author, Yasmeen Premji was very particular in illustrating the downfalls and rises of Lakha's life journey from childhood to his death. I find this book very observing and interesting. It was as though watching the birth and death of a great business entrepreneur in front of my eyes. This book is indeed worth-keeping.